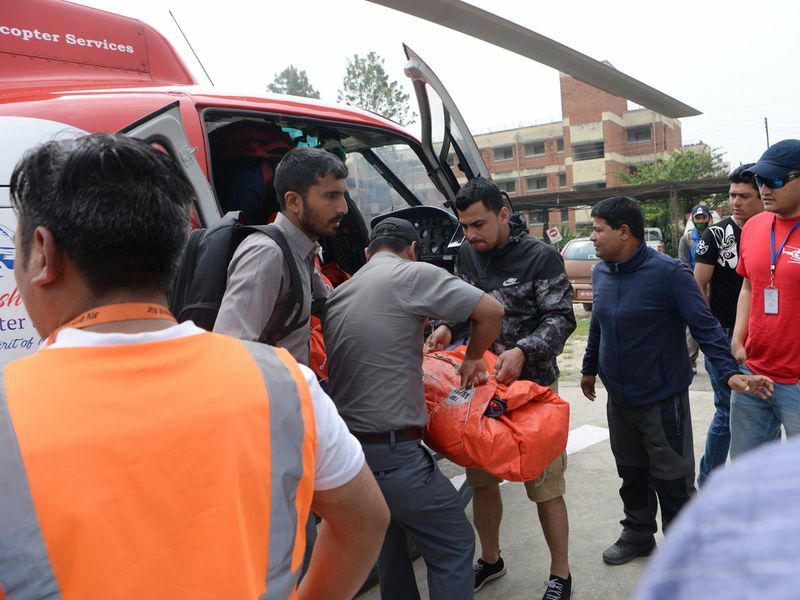 Kathmandu: A small plane veered off the runway and hit two helicopters while taking off near Mount Everest on Sunday, killing three people and injuring three, officials said. The accident happened at Lukla airport which is the main gateway to the Everest region and is reputed to be one of the most difficult in the world for landings and take-offs. 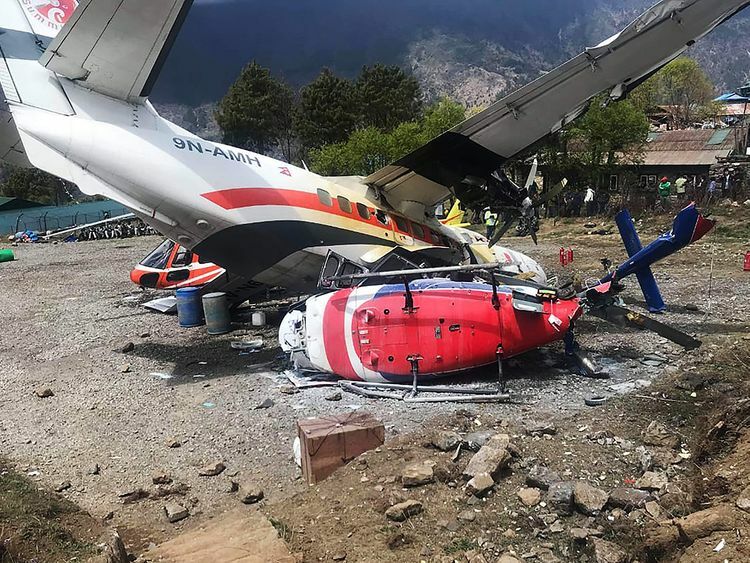 A co-pilot from the Let-410 run by Summit Air bound for Kathmandu and a police officer on the ground were killed on the spot, Lukla airport official Ema Nath Adhikari told AFP. "The plane slipped towards the helipad during take-off and collided with two helicopters. 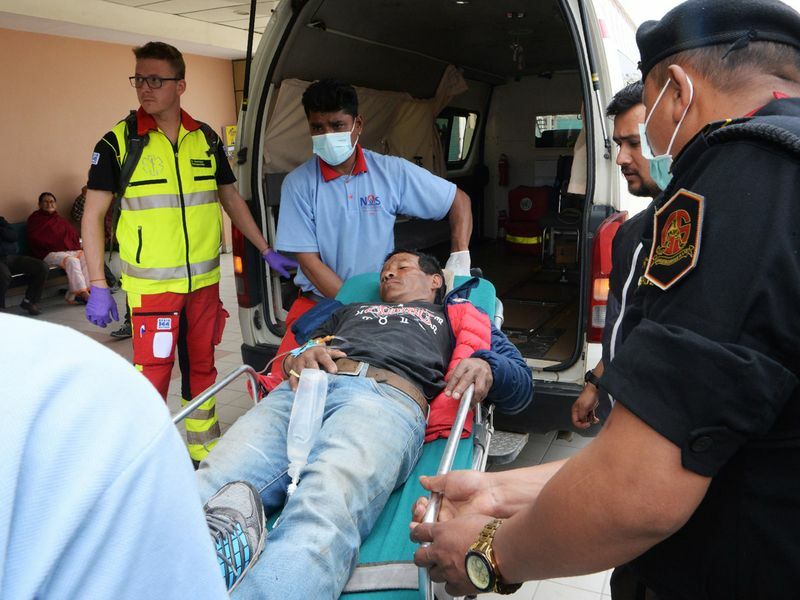 The injured have been sent to Kathmandu for treatment," Adhikari said. "We are not sure about the cause of the accident." Lukla airport is used by thousands of trekkers and climbers heading for the Everest region each year. It is particularly busy in April as the spring mountain climbing season begins. Nepal's aviation industry has boomed in recent years, flying tourists and goods to remote corners of the Himalayan nation where road access is limited. But the impoverished country has a poor air safety record due to weak training and maintenance. The European Union has banned all Nepalese airlines from its airspace over safety concerns. Seven people, including the country's tourism minister, were killed in February when a helicopter crashed in the hilly east.